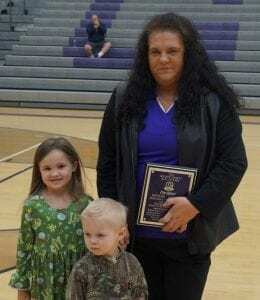 ELLIJAY, Ga. – December saw six new members inducted into Gilmer County’s Hall of Fame between Friday’s, December 7, Girls and Boys Basketball games. Celebrating the accomplishments of these people both during and after high school, the ceremony honored these individuals and their families. Coming from several different walks of life and spreading to even more after high school, Gilmer welcomed these stars home to the Gilmer’s Court for the special day. Donna Cowart Mousa was in the Class of 1978. She played Basketball, Track, and Tennis. 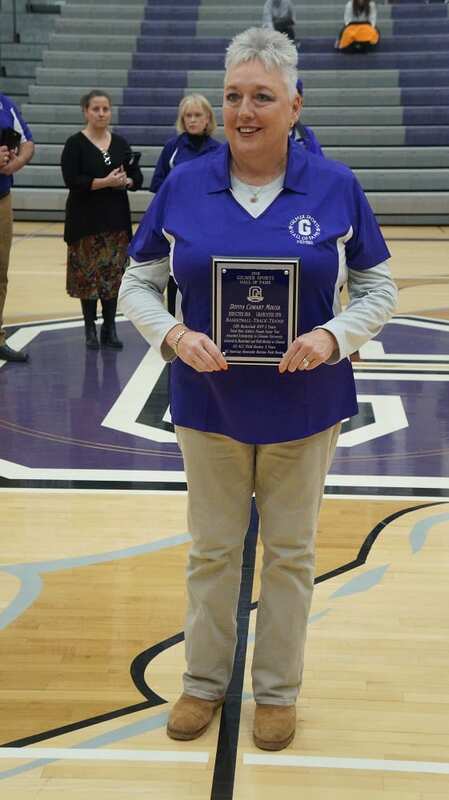 Named as the GHS Basketball MVP for 3 years, she was also voted as Most Athletic Female during her Senior Year. She was later awarded a scholarship to Clemson University where she lettered in Basketball and Field Hockey. She joined All ACC Field Hockey for three years and was named as an All American Honorable Mention for Field Hockey. Pam Gibson was in the Class of 1987. She played Basketball, Tennis, and Softball. 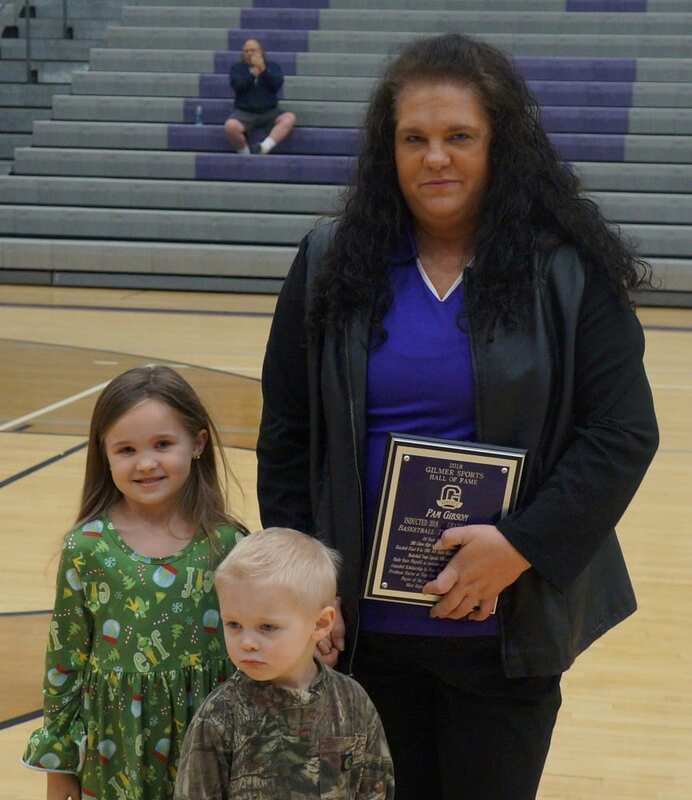 Named to All State Basketball in 1987, she also became GHS Lady Cats Player of the Year in both 1985 and 1987. She was also awarded Top GHS Female Athlete of the Year in 1985. She was Basketball Team Captain in 1986 and Co-Captain in 1987. 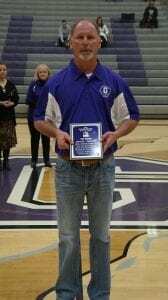 Gibson achieved Top 8 in AA State Singles Tennis Tournament in 1985. She was later awarded a scholarship to Troy State University where she became a Freshman Starter averaging 15 points-per-game. Mike Brumby was in the Class of 1988. He played Football, Basketball, Baseball, and Golf. Named All State Honorable Mention for Football in 1987, he was also named All State Honorable Mention for Basketball in 1988. Receiving several GHS Awards in both football and basketball, he became the GHS Basketball Player of the Year in both 1987 and 1988. He is currently a Whitepath Golf Club Pro in Gilmer County. Candy Pankey Ledford was in the Class of 1993. She played Basketball, Softball, Tennis, Track, and Cross Country. 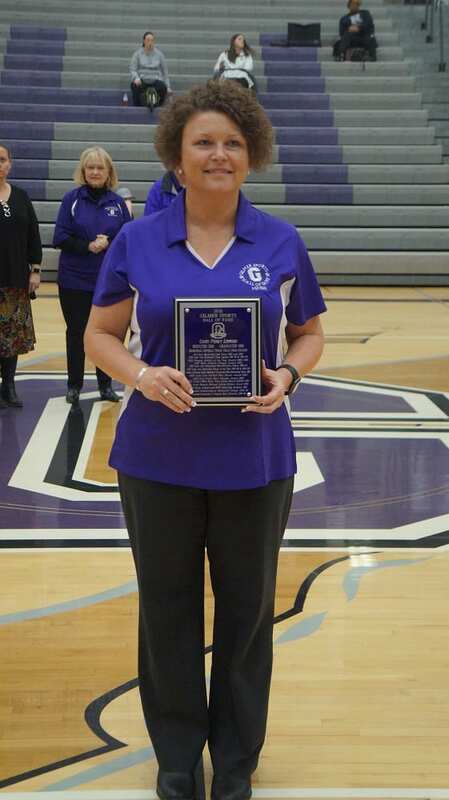 Named Second Team All State Basketball in both 1992 and 1993, she also was awarded the GHS Female Athlete of the Year Awards in both 1990 and 1991. 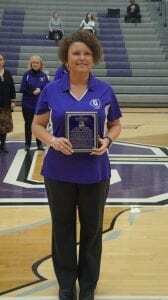 She also received the GHS Most Athletic Female Award in 1993. She was later awarded a scholarship to Reinhardt College from 1993 to 1995 and was then awarded a scholarship to Augusta State College from 1996 to 1998. Neil Gary was in the Class of 1997. He played Football and Wrestling. 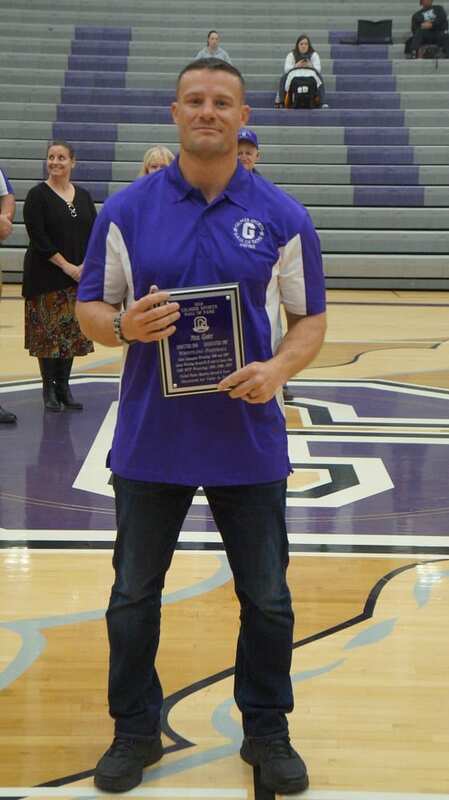 Named State Wrestling Champion in both 1996 and 1997, he also achieved a total Career Wrestling Record of 63-22 with 41 career pins. 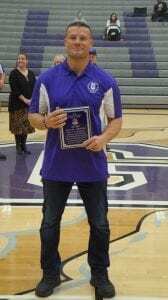 He also was named GHS MVP in Wrestling in 1995, 1996, and 1997. He later served eight years in the United States Marines and was Decorated for Valor in Iraq. 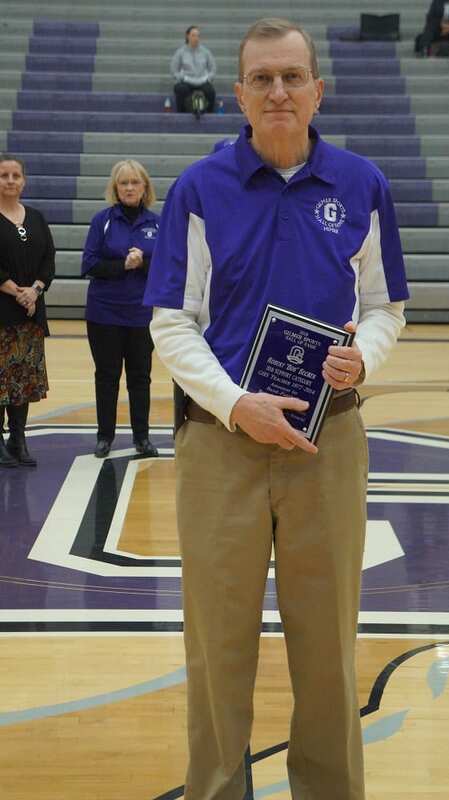 Robert “Bob” Becker is being inducted into the 2018 Support Category for achievements at GHS High School where he taught from 1977 to 2014. 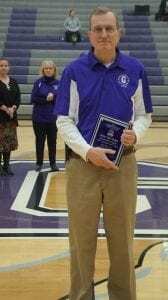 He was Public Address Announcer for Band, Football, Basketball, and Baseball. He holds degrees from Jacksonville State, Georgia State, and Lincoln Memorial. To this day, he says he is first to be known as a man of God.